Bandai Namco surprised everyone by announcing that Gundam Versus would be available in Western countries, too. It had been a long time since the 3D fighting game, very popular in Japanese arcades, reached Western shores. You can enjoy this title with higher quality graphic compared with that of normal PlayStation 4 although it isn’t equipped with 4K quality properly. While Gundam Versus won’t be optimized for 4K resolution, then, PS4 Pro owners should still get some kind of graphics enhancement. It’s hard to say whether that will be in the form of increased resolution such as Hellblade’s 1440P, or additional anti-aliasing, improved texture quality et cetera – though we’ll know soon enough, with the game due to release in a month and a half. We also asked whether the studio had any plans to release the game on PC or other consoles, and the reply was that while there is nothing to announce, the developers would like all players to enjoy this title. We’ll see if that translates into future ports or not. 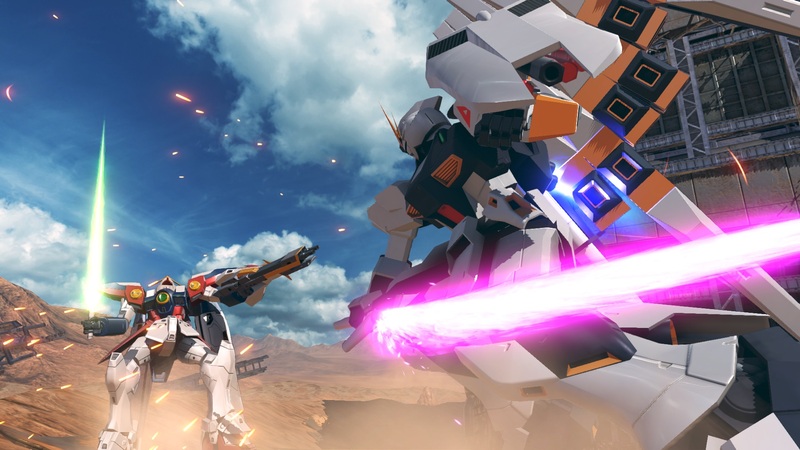 Gundam Versus will feature 94 mobile suits to choose from and the following game modes.